87 Grand National the customer purchased with a drag racing cage installed. Todd wanted the car to be legal in the NASA American Iron Road Racing Series. When we received the car we removed the old cage. 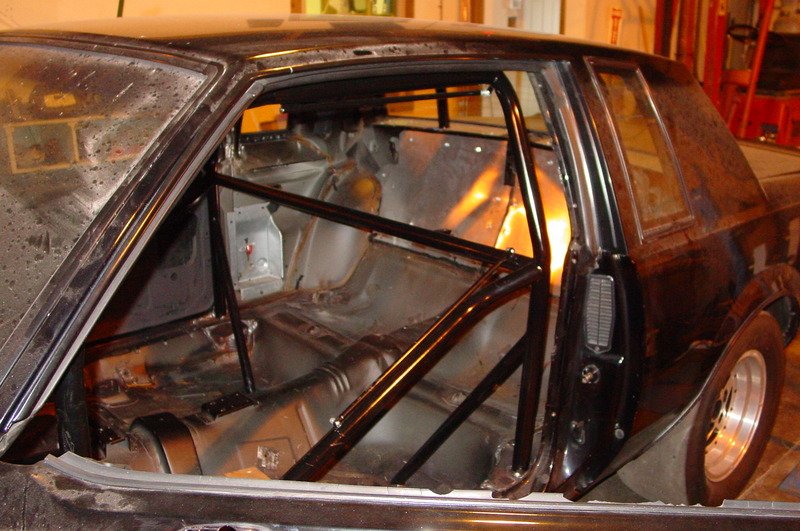 Than we built and installed a road racing cage with Nascar door bars. This cage is mounted through the floor to the frame of the car. All of the tube joints are tig welded for strength. We than fabricated and installed plates securing the body to the cage. We also fabricated mounts for the seat and window net.